The S32 provides 32 MIDAS-designed remote-controllable mic preamps, plus 16 balanced analog XLR returns at the stage end – and all it takes is a single Cat 5e cable (up to 328 ft / 100 m). The S32 provides 32 MIDAS-designed remote-controllable mic preamps, plus 16 balanced analog XLR returns at the stage end – and all it takes is a single Cat 5e cable (up to 328 ft / 100 m). While KLARK TEKNIK, the industry-leader in high-end digital audio processing, invented the AES50 SuperMAC technology that made it all possible – Behringer’s superb scale of production makes the S32 so very affordable. 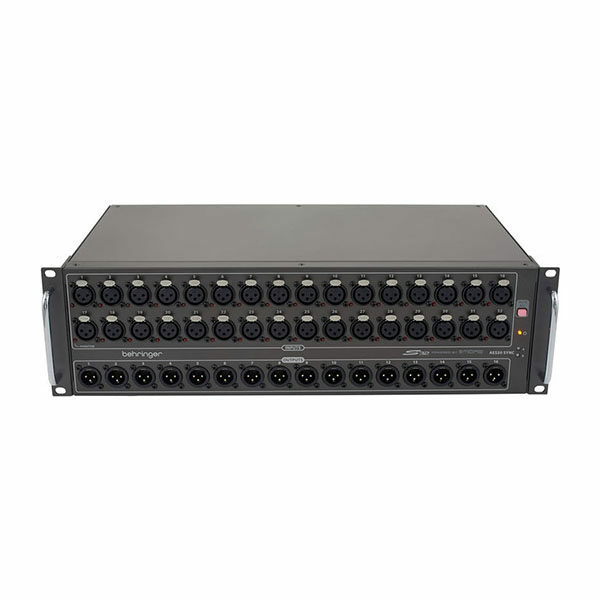 When used as part of a complete X32 system, two S32 Stage Boxes can be connected via the mixer’s built-in dual AES50 ports, providing connectivity for up to 64 remote mic/line inputs, 32 balanced outputs and the awesome POWERPLAY P-16 Personal Monitoring System – which can feed up to 16 individual monitor mixes via CAT5 to every musician on stage. 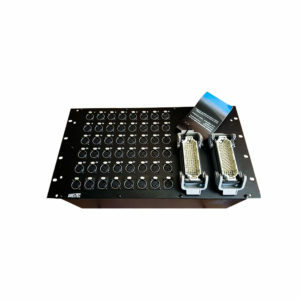 When 32 inputs are not enough, an S32 Stage Box may also be cascaded with an S16 or SD16 for full use of the 48-channel bidirectional capacity of AES50 SuperMAC networking on just one CAT5 line. Behringer also included 2 optical ADAT outputs and two AES-3 (AES/EBU) stereo outputs for digitally connecting to outboard devices, such as PA system controllers. The S32 also features a convenient USB port for system updates via your PC – plus MIDI I/O for your lighting systems and sound module control. The S32 was initially designed with Behringer’s flagship X32 Digital Mixing Console in mind, but any mixing board with AES50 networking capability can still tap directly into the S32’s powerful feature set. For instance, an S32 and X32 CORE can be used to create an amazing power-combo for remote controlled digital mixing in only 4U. 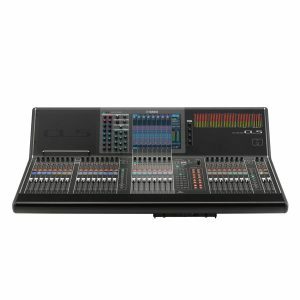 While the X32 CORE may be used to run an independent monitor mix, it can also relay and share all I/O with the FOH – whether you are using an X32 Series console, or any other digital mixer that supports MADI, Dante, ADAT or AES50 I/O. 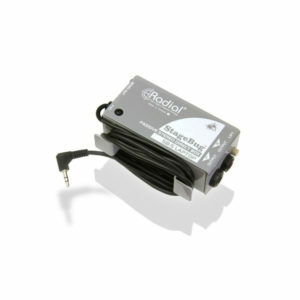 Behringer offer very reasonably priced option cards to replace the standard 32 x 32 channel USB interface for exactly that purpose. You can even choose to run the complete show from the stage racks X32 CORE via Behringer’s remote control apps. And since the S32 and X32 CORE communicate via AES50, they don’t even have to live in the same physical rack, but can be separated by up to 100 m (328′) of CAT5 cabling, if that is more convenient for your venue. As you can see, the S32 is an extremely versatile 32 x 16 digital stage box solution with remote controllable MIDAS-designed mic preamps, KLARK TEKNIK’s AES50 connectivity and a wealth of other professional-grade features – all at a price anyone can afford! Built tough enough to withstand the rigors of the road, the S32 only takes up only three rack spaces and connects to FOH with a single, inexpensive Cat 5e cable, such as the KLARK TEKNIK NCAT5E-50M. 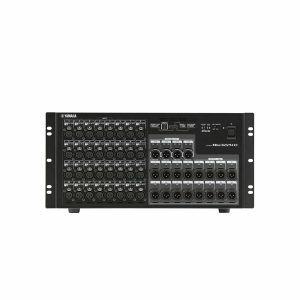 Now you can have the missing link between the stage and FOH at a fraction of the cost of competing systems – and Behringer back it up with a comprehensive warranty program.